In order to apply for voter card online, the first step involves opening the official website of election commission of India. For each state the website is different and the sites are user friendly and easy to use. 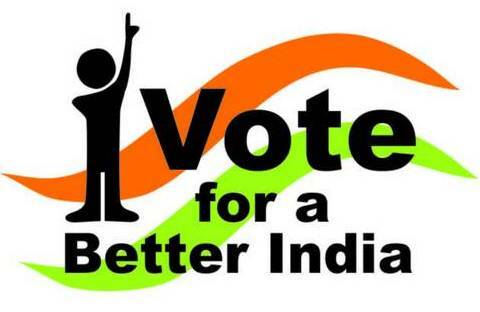 If you are doing the registration via your State ECI website then, once you have opened the website, you will see an Enrollment option, click on it in order to get your new voter ID card. If doing it via NVSP then you can skip Step 2,3 and 4. You will have a form in front of you in which you will be asked to fill in your e-mail ID, mobile number and the state which you belong to. Once this is done, you will be allotted a login ID and a password. Once you have the Login ID and password, the next step involves logging in and entering your details. At this stage, you will be required to fill out form number 6. You will have to fill in all your details in the form. Attach a passport size photo with the form, it is advisable that you keep your photograph scanned and ready with you once you sit to fill in the form as it will save a lot of time. Once you have attached your photograph, you will be redirected to the form page. Be sure to look at every detail carefully and if all the details entered are correct, click on submit. The page conveying your successful submission will open and you will also receive an E-mail confirming your successful voter card online application. 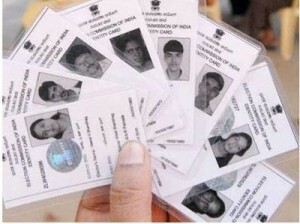 Online application of voter card saves a lot of time and money. You will be able to get your Voter card online within a month whereas if you opt for offline registration, it will take around 9-10 months. Your voter ID card will be delivered to you by post after thorough Voter Verification done by the election officials. pls provide to from 6 in hind lug. When I get my voter id ..